Iolanda Dobrilla or Jolanda Dobrilla was an Italian girl, born on August 30, 1927 in Capodistria, Istria, which was then part of the Kingdom of Italy. Her parents were Mario Dobrilla and Ines Pugliese. Iolanda attended the Carlo Combi secondary school in Capodistria, but soon abandoned her studies. For uncertain reasons, in 1943 she left her native city and moved to Rome. She studied German in school, which allowed her to work as an interpreter in Velletri, near Rome. Iolanda miraculously survived the terrible Allied bombing of Velletri in November 1943, but was left isolated and alone and decided to return home. The winter of 1943-1944 was particularly severe; bad weather conditions made it difficult to follow the roads of Italy. Unable to continue her journey, Iolanda stopped in the small village of Lugnola near Terni, Umbria, where she was taken in by the Papucci family. The family, who had also been displaced from their home due to bombings in Terni, welcomed the young girl and gave her refuge. During her time with the Papucci family, Iolanda performed housework as a way of repaying the generous hospitality of her hosts, who treated her as their own daughter. However, Iolanda was determined to return home to Capodistria. When a German column passed through the region, Iolanda approached the Germans and begged them to transport her to the north, so she could return home to her family. Iolanda's knowledge of the German language aroused the suspicions of the local partisans, who accused her of being a Fascist spy and of collaborating with the Wehrmacht. On April 23, 1944, during the celebration of the feast of Our Lady of Loreto, two Communist partisans from the “Manni” gang kidnapped Iolanda. She was taken to the town of Cottanello, Lazio, where she was tortured, raped and murdered with a hand grenade by the Communists. Before dying she cried out the name of her aunt Lucia. Iolanda's blown up body was burned in a coal cellar and her charred remains were left as food for the pigs. She was only 16 years old. The Italian authorities immediately began searching for the girl. However this came to an abrupt halt on May 9, 1944 when Primo De Luca, an Italian soldier of the GNR who was leading the search and collecting evidence, was captured by the Communist partisans and summarily executed in front of the cemetery of Vasciano in Stroncone, near Terni. Investigations were resumed in 1947, after the end of the war. On November 21, 1950 her killers were absolved of any crime by the Court of Appeals in Rome, who decided that the case met the requirements of the Togliatti Amnesty (a general amnesty issued by the Secretary of the Italian Communist Party, Palmiro Togliatti). Her death was ruled “a necessary act of war to defeat the enemy”. The fact that Iolanda was a minor and not a spy was ignored. The murderers – Luigi Menichelli and Francesco Marasco – were granted freedom without punishment. The criminal investigation and proceedings of the trial were kept hidden from her family, who were forced to leave Istria three years later in 1953, joining the 350,000 other Italian exiles. 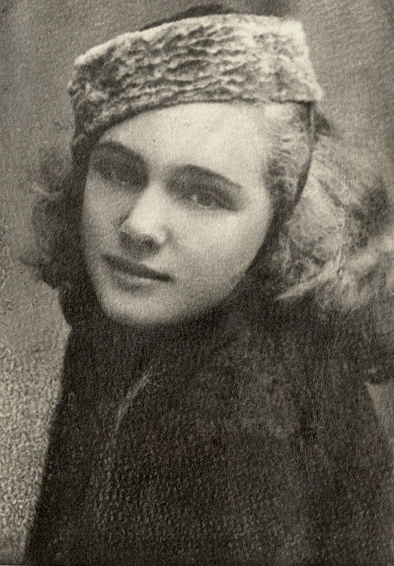 For many years Iolanda Dobrilla was thought to be missing by her family, and it was speculated that she may have perished in an Allied bombing. Her mother died without ever knowing what truly happened to her daughter. It was not until decades after the war that her brutal torture and grizzly death was made known to the public, thanks to the research of two scholars: Enrico Carloni and Pietro Cappellari. In 2006 her surviving family was finally tracked down and informed of her death through the efforts of those two scholars and the Free Province of Istria in Exile (Libera Provincia dell'Istria in Esilio), an organization founded in Italy after the expulsion of Italians from Istria by the Yugoslavs. Although the story of Iolanda Dobrilla is now known by the public and by her family, the criminals who tortured, raped and murdered the young Istrian girl were never brought to justice for their crimes. Nor has the 1950 court ruling, which decided her murder was “necessary”, ever been overturned. The case remains a tragic example of the ruthless savagery of the Communist Partisans, and of the way in which Communist crimes were justified, hidden and ignored after the end of the war.